Scarier than E.T.A. Hoffman's The Sandman, more terrifying than Fritz Lang's Metropolis, realer than Blade Runner, the complete horrific history of Robots and Replicants, courtesy of Molly Lambert's Science Corner at This Recording. A.E. reborn as a HUBO in A.I. The Uncanny Valley is a hypothetical concept introduced by Japanese roboticist Masahiro Mori in 1970, and has been linked to Ernst Jentsch's concept of "the uncanny" as first identified in his 1906 essay, "On the Psychology of the Uncanny." Jentsch's conception was famously elaborated on by Sigmund Freud in his 1919 essay "The Uncanny" ("Das Unheimliche"). The Uncanny Valley is the hypothesis that when robots and other facsimiles of humans look and act almost, but not entirely, like actual humans, it causes a response of revulsion in human observers. The "valley" in question is a dip in a graph of the positivity of human reaction as a function of a robot's lifelikeness. "Please don't make me go to Auschwitz Mr. CGI Tom Hanks"
A similar problem arises in 3D computer animation that attempts realism, especially with motion capture methods as used in Final Fantasy, The Polar Express and Beowulf. Most CGI suffers from this to some extent. 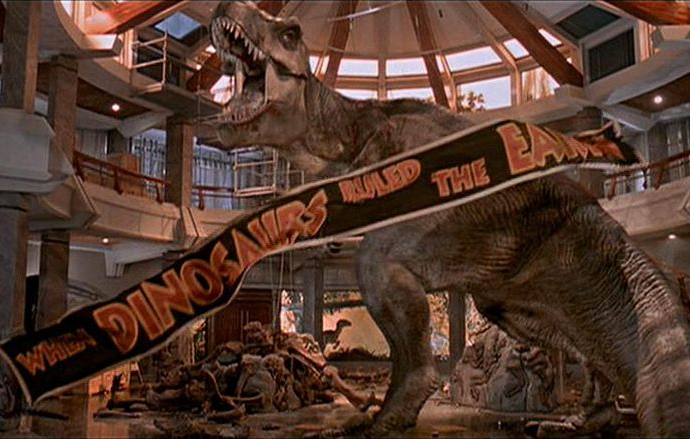 For my money nobody (including, especially, Peter Jackson and LOThR) has surpassed the realism of fifteen year old movie Jurassic Park, which heavily augmented computer graphics with traditional animatronics. T-REX SAYS "ALL YOUR HOBBITS ARE BELONG TO US!!!!!" Some theorists and scientists (and Tess) think crossing the Uncanny Valley will lead to accepting the possibilities of Transhumanism. These are the folks who think that steroids aren't necessarily bad for sports, that nootropics aren't cheating nature but enhancing it, and that the fear of post-humans is just alarmism about the future and what is as yet unfamiliar or unknown. 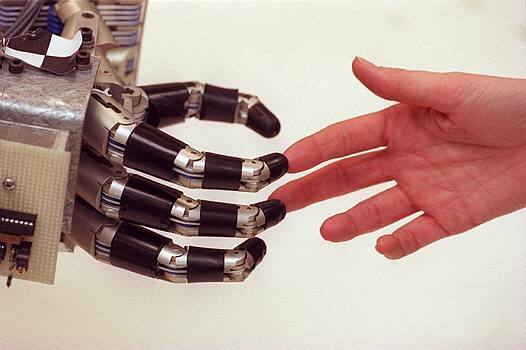 Transhumanists support the use of new sciences and technologies to enhance human mental and physical abilities and aptitudes, and fix what it regards as undesirable or unnecessary aspects of the human condition, such as stupidity, suffering, disease, aging and involuntary death. Transhumanist thinkers predict that human beings will eventually be able to transform themselves into beings with such greatly expanded abilities as to merit the label "posthuman." 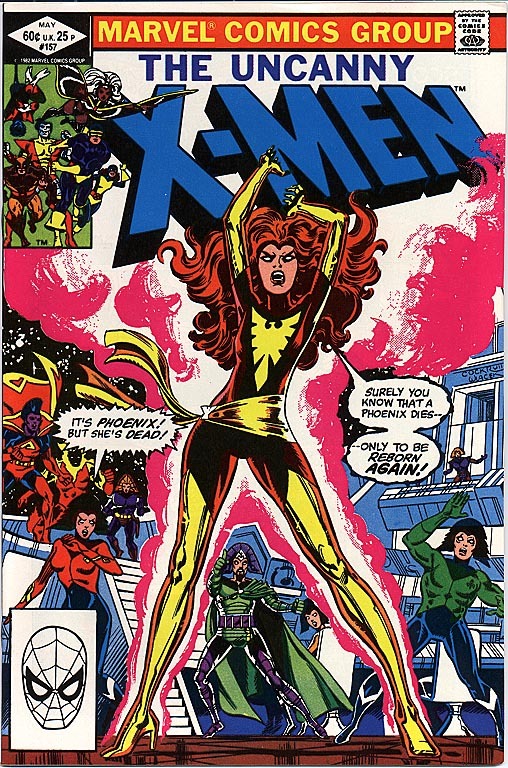 It recalls eugenics with a modern technological twist, the racism against mutants in the Uncanny X-Men, and the Mecha suit of Iron Man. Abū al-'Iz Ibn Ismā'īl ibn al-Razāz al-Jazarī (1136-1206) (Arabic: أَبُو اَلْعِزِ بْنُ إسْماعِيلِ بْنُ الرِّزاز الجزري) was an important Iraqi Artuqid Muslim scholar, artist, astronomer, craftsman, inventor and mechanical engineer from al-Jazira, Mesopotamia who flourished during the Islamic Golden Age (Middle Ages). He is best known for writing the Book of Knowledge of Ingenious Mechanical Devices in 1206, where he described fifty mechanical devices. 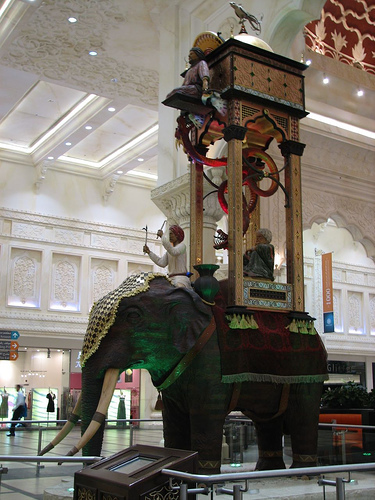 Al-Jazari invented automated moving peacocks driven by hydropower, the earliest known automatic gates, which were driven by hydropower, and created automatic doors as part of one of his elaborate water clocks. Al-Jazari created a musical automaton, which was a boat with four automatic musicians that floated on a lake to entertain guests at royal drinking parties. Professor Noel Sharkey has argued that it is quite likely that it was an early programmable automata and has produced a possible reconstruction of the mechanism. It has a programmable drum machine with pegs (cams) that bump into little levers that operated the percussion. The drummer could be made to play different rhythms and different drum patterns if the pegs were moved around. 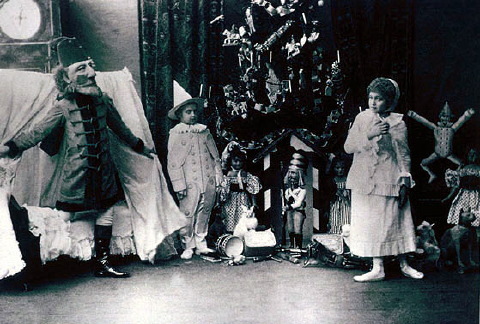 According to Charles B. Fowler, the automata were a "robot band" which performed "more than fifty facial and body actions during each musical selection." Pierre Jaquet-Droz (1721-1790) was a Swiss-born watchmaker of the late eighteenth century. He lived in Paris, London, and Geneva, where he designed and built animated dolls, or automata, to help his firm sell watches and mechanical birds. I know why the caged bird sings. It's a robot. Constructed by Pierre Jaquet-Droz and his son were The Writer (made of 6000 pieces), The Musician (2500 pieces) and The Draughtsman (2000 pieces). His astonishing mechanisms fascinated the world's most important people: the kings and emperors of Europe, China, India and Japan. Some consider these devices to be the oldest examples of the computer. The Writer has an input device to set tabs that form a programmable memory, 40 cams that represents the read only program, and a quill pen for output. The work of Pierre Jaquet-Droz predates that of Charles Babbage by decades. Droz built a clock which was capable of movement: when the clock struck, a shepherd played six tunes on his flute, and a dog approached and fawned upon him. 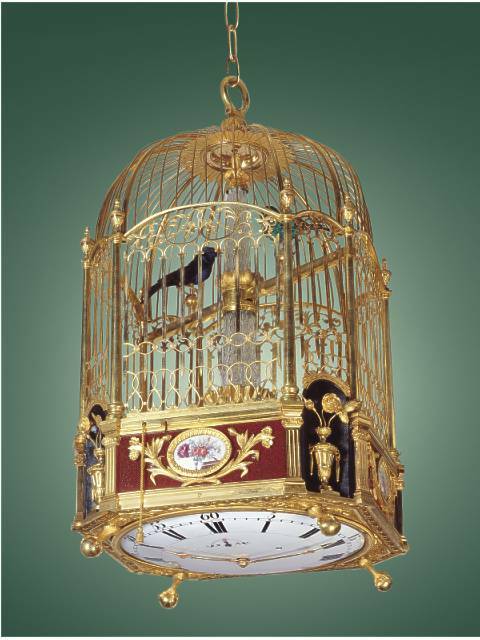 This clock was exhibited to the King of Spain, who was delighted with it. "If your Majesty touch one of the apples," said Droz "which you see in the shepherd's basket, you will admire the fidelity of this animal." The King took an apple, and the mechanical dog flew at his hand and barked so loudly that the King's real dog began also to bark; at this the Courtiers, hastily left the room crossing themselves, believing it to be witchcraft. The minister of Marine was the only one that ventured to stay. 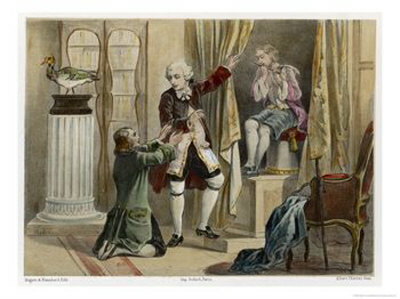 Jacques de Vaucanson gained his interest in mechanical devices after meeting the surgeon Le Cat, from whom he would learn the details of anatomy. This new knowledge allowed him to develop his first mechanical devices that mimicked biological vital functions such as circulation, respiration, and digestion. 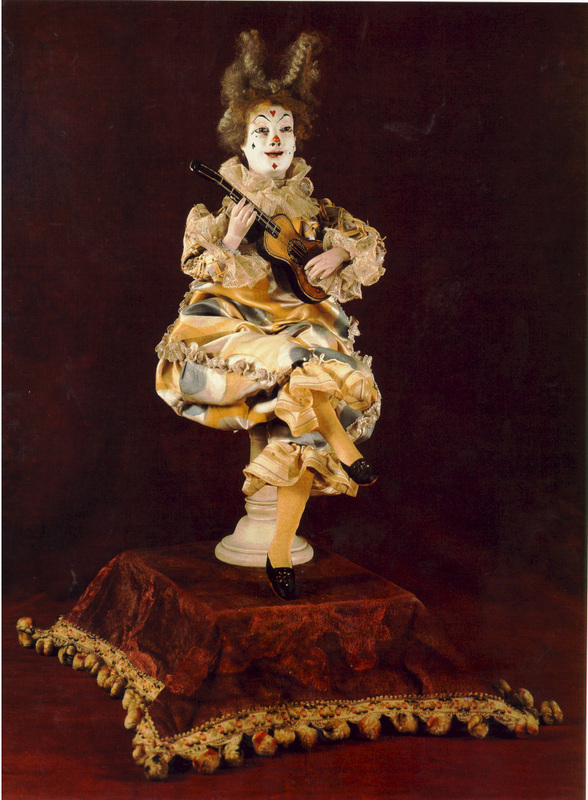 In 1737, he built his first automaton, The Flute Player, a life-size figure of a shepherd that played the tabor and the pipe and had a repertoire of twelve songs. The figure's fingers were not pliable enough to play the flute correctly, so Vaucanson had to glove the creation in skin. The following year, in early 1738, he presented his creation to the Académie des Sciences. At the time, mechanical creatures were somewhat a fad in Europe, but most could be classified as toys, and de Vaucanson's creations were recognized as being revolutionary in their mechanical life-like sophistication. Later that year, he created two additional automatons, The Tambourine Player and The Digesting Duck, which is considered his masterpiece. The duck had over 400 moving parts, and could flap its wings, drink water, digest grain, and defecate. Although the duck supposedly demonstration digestion accurately, it actually contained a hidden compartment of "digested food," so that what the duck shat out was not the same as what it ate. 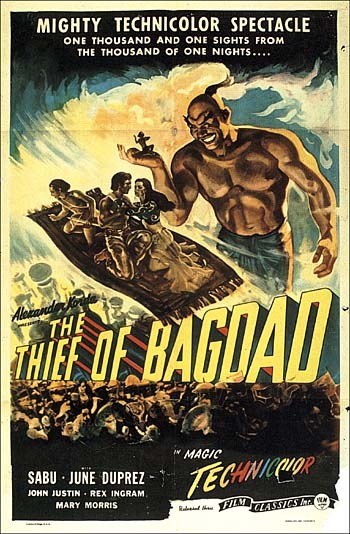 While such "frauds" were sometimes controversial, they were common because scientific demonstrations needed to entertain the wealthy and powerful to attract their patronage. 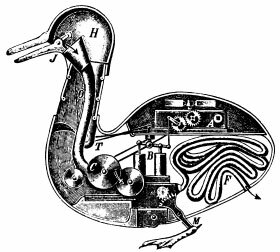 The Digesting Duck followed the principles of Descartes’s mechanistic universe, and bolstered the Enlightenment-era belief that animals were just meat machines, but automatons nonetheless. The ability to create life no longer was the domain of God and of living organisms, but was now captive in the hands of man’s genius. These ideas terrified and excited many people, but were one of the major ideological changes from a natural to a mechanistic world view. 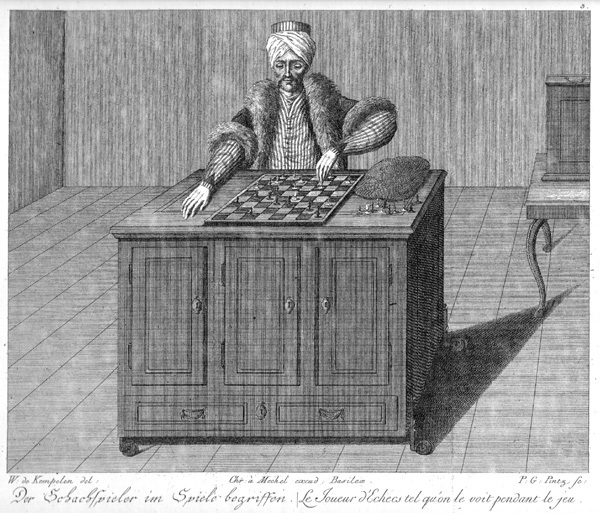 The Turk or Automaton Chess Player was a chess-playing machine of the late 18th century, exhibited from 1770 for over 84 years, by various owners, as an automaton but later explained in January 1857 as an elaborate hoax. Constructed and unveiled in 1770 by Wolfgang von Kempelen (1734–1804) to impress the Empress Maria Theresa, the mechanism appeared to be able to play a strong game of chess against a human opponent, as well as perform the knight's tour, a puzzle that requires the player to move a knight to occupy every square of a chessboard once and only once. 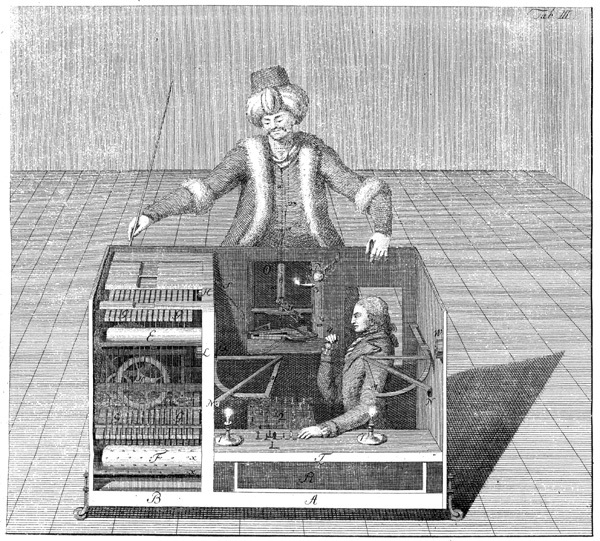 Publicly promoted as an automaton and given its common name based on its appearance, the Turk was in fact a mechanical illusion that allowed a human chess master hiding inside to operate the machine. With a skilled operator, the Turk won most of the games played during its demonstrations around Europe and the Americas for nearly 84 years until its destruction by fire in 1854, playing and defeating many challengers including statesmen such as Napoleon Bonaparte and Benjamin Franklin. Although many had suspected the hidden human operator, the hoax was formally revealed in a series of articles in The Chess Monthly in 1857. The Turk was visited in London by Rev. Edmund Cartwright in 1784. 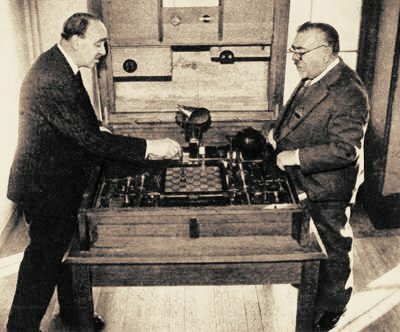 He was so intrigued by the Turk that he would later question whether "it is more difficult to construct a machine that shall weave than one which shall make all the variety of moves required in that complicated game." Cartwright would patent the prototype for a power loom within the year. Sir Charles Wheatstone, an inventor, saw a later appearance of the Turk while it was owned by Mälzel. He also saw some of Mälzel's speaking machines, and Mälzel later presented a demonstration of speaking machines to Alexander Melville Bell and his teenage son. Wheatstone lent a book by Kempelen about the speaking machines to the son, Alexander Graham Bell; Bell would go on to invent the telephone. In Richmond, Virginia, the Turk was observed by Edgar Allan Poe, who was writing for the Southern Literary Messenger. Poe's famous essay "Maelzel's Chess Player" was published in April 1836 and is the most well-known analysis of the Turk, even though many of Poe's hypotheses were incorrect. In 1849, just several years before the Turk was destroyed, Edgar Allan Poe published a tale "Von Kempelen and His Discovery". 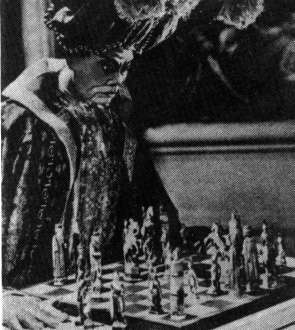 It also inspired "Moxon's Master", a morbid tale by Ambrose Bierce about a chess-playing automaton that resembles the Turk. Vichy was known for the subtlety of motion their automata possessed. 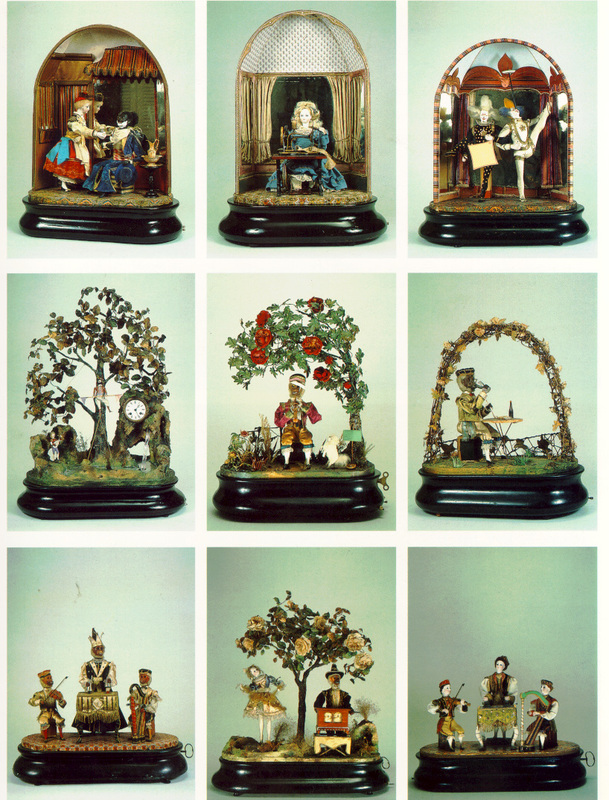 Vichy showed several automata at Paris Universal Exposition of 1878. One observer noted that, "...Vichy's automata are distinguished by the flexibility and precision of their gestures...". One hundred and thirty years later, they are still horrifically lifelike. Léopold Lambert, was born on October 8, 1854 in Aix-en-Provence (France). His parents were inn keepers. He worked some time in the Vichy society, where his competence and the quality of his work earned him the post of foreman. In 1886, Lambert formed his own company and sold musical mechanical toys and luxurious articles. 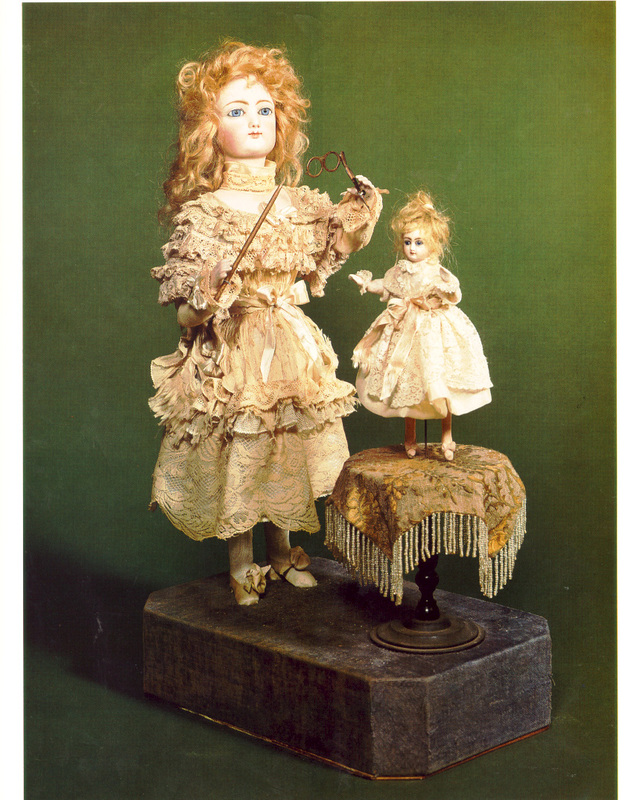 Toward 1876, he married a young parisian dressmaker who dressed the automata created by her husband. The Lambert pieces were of two kinds: those manufactured with few specimens, even single, and others, made in series; these last are, generally, of small girls with porcelain heads. They are in general equipped with three or four movements: they turned the head and greet, raise and lower the arms, and differ from each other mainly by their costumes and their accessories. Lambert was rewarded with diplomas of honor in Liege in 1904, and Milan in 1905, then abruptly, his name ceases to appear among the participants in the international demonstrations. From 1910 the society started a slow but final decline. 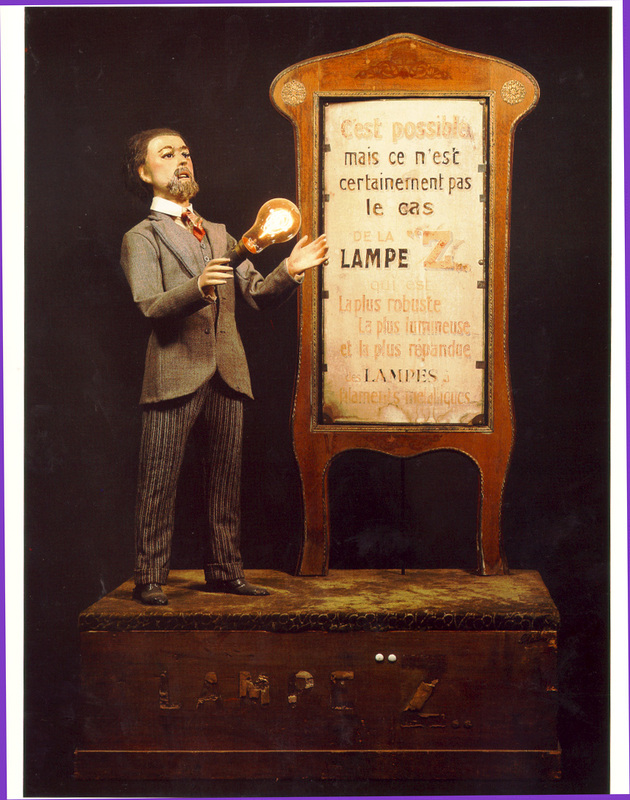 During the epoch of electric and advertising automata, Lambert had remained faithful to the mechanical automata. The sales slowed down and had difficulty earning a living at his trade. His automata survived him. Roullet et Decamps, one of the most versatile and creative of all the Paris automaton makers, was in business for more than 120 years. Its remarkable accomplishments began in 1866 with mechanical toys, then musical automatons, and finally, in the first years of the twentieth century, electric automated displays for store windows. O God help us they are self-replicating! 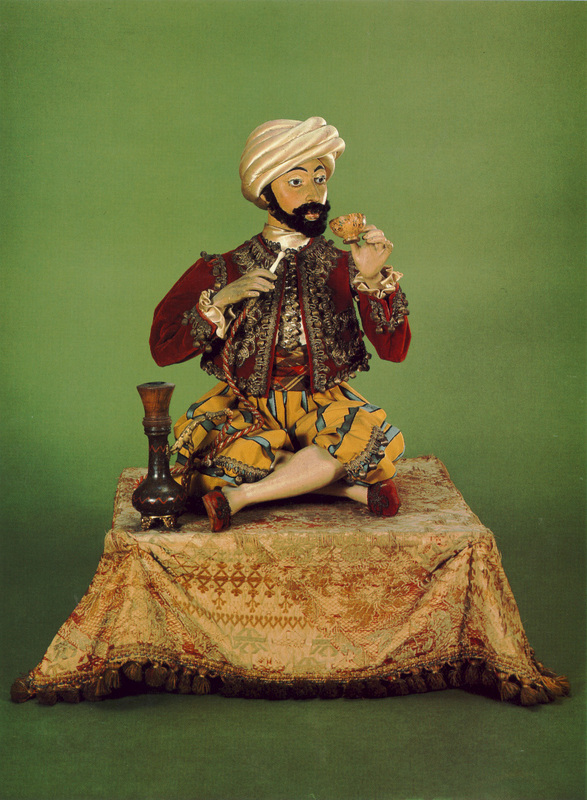 By 1995, when the firm closed its doors for the last time, the craft of the automaton maker was recognized as a cultural asset worthy of preservation. 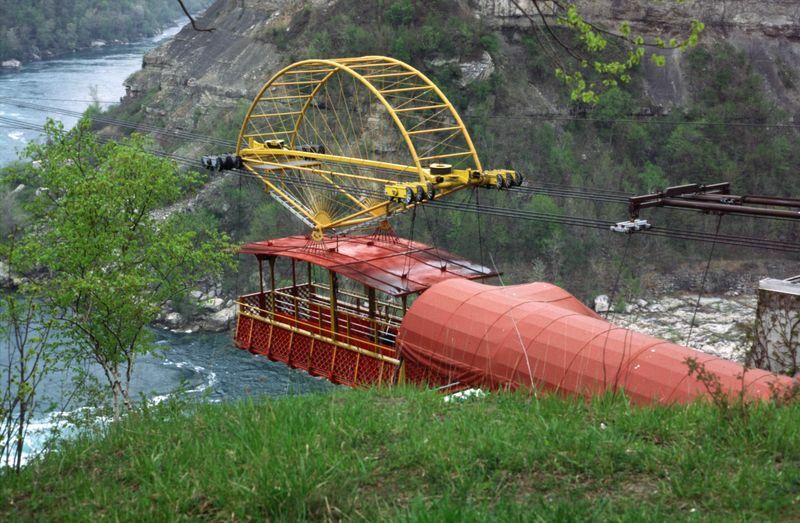 The French government established a state-of-the-art museum in the village of Souillac, a popular tourist destination in France's scenic Dordogne Valley. 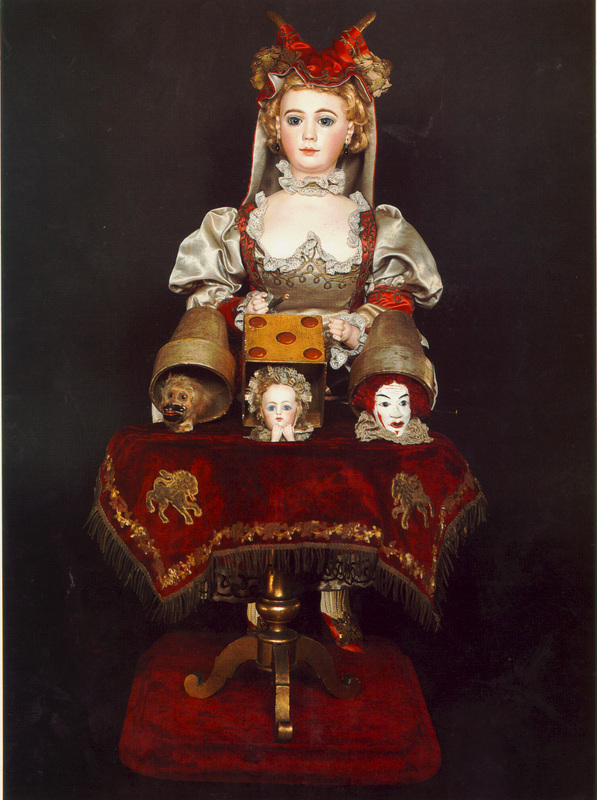 The Roullet and Decamps collection of antique automatons and electrically-operated automated displays was saved, along with tools, machinery, molds, parts, and materials that were used in the workshops. Jean Marie Phalibois was born on October 29, 1835 in Paris. 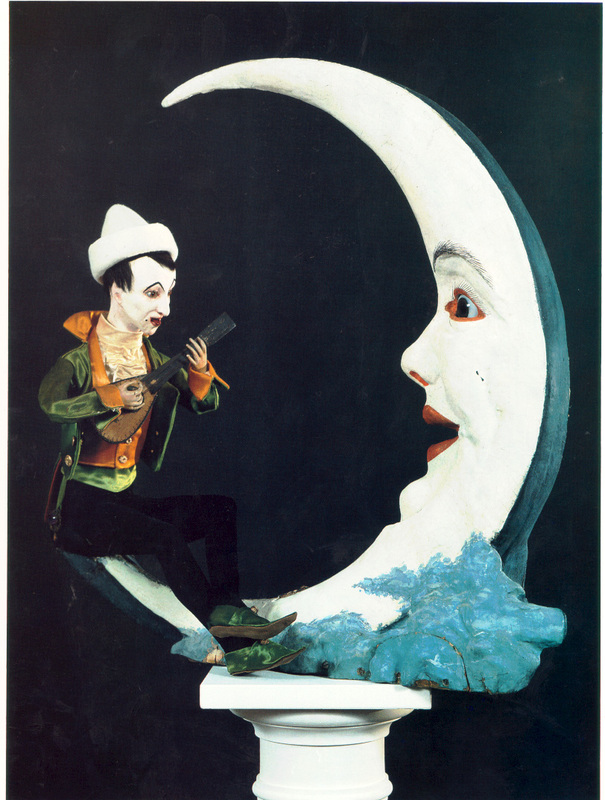 In 1871 he set up his shop and devoted himself to the production of scenes mecaniques, which were little scenes placed on wooden bases featuring monkeys, tightrope walkers, conjurers, etc. Phalibois took part in the Paris Exhibition of 1878. This year also marked a turning point in his firm's orientation, for he began to produce more and more mechanical toys with music. In 1893, Phalibois retired from his business and turned control of the firm to his son Henry. In 1925, the family firm came to an end when Henry's son, Raymond, sold off the firm. El Ajedrecista ("The Chess Player") was an automaton built in 1912 by Leonardo Torres y Quevedo. El Ajedrecista made a public debut during the Paris World Fair of 1914, creating great excitement at the time. It was first widely mentioned in Scientific American as "Torres and His Remarkable Automatic Devices" in November 6th, 1915. 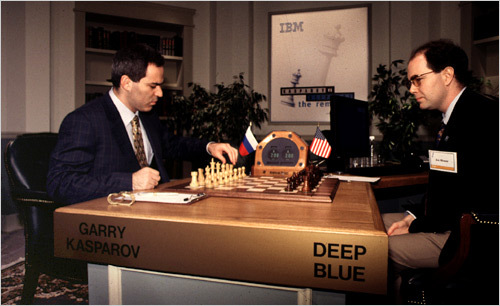 Using electromagnets under the board, it automatically played a three chesspiece endgame moving a King and a Rook against a human opponent King. 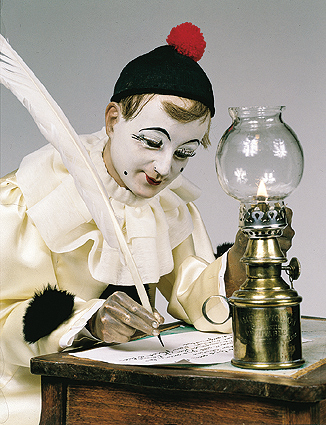 By today's engineering standards, the automata built by Quevedo would not be viewed as remarkable. However, they were considered revolutionary in their day. If an illegal move were made by the opposite player the automaton would signal it. 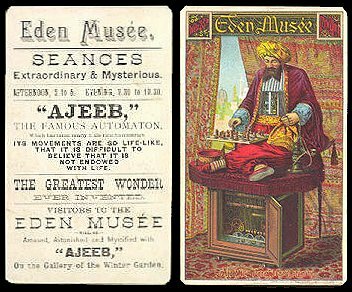 As opposed to The Turk and Ajeeb, El Ajedrecista was a true automaton built to play chess without human guidance.